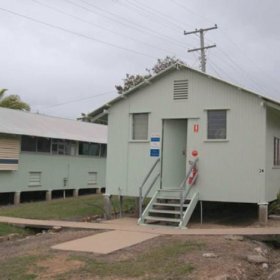 The Jezzine Barracks Property Disposal Project was a particularly high profile Project in the North Queensland Region due to the historical significance of the Kissing Point Fort site. The Project had certain areas of the site gifted to the Townsville City Council for heritage protection and community use. The portion retained by the Department of Defence is now home to the relocated Army History Unit Museum. The site also contains Jezzine House, which is the residence of the Senior Military Commander in the region. Due to Lambert & Rehbein’s experience in Defence Project Management, they were awarded the role of Design Consultants for the Project. In this capacity Lambert & Rehbein managed the consultancy team as they completed the design stages, and oversaw the construction. The main area of work was the renovation of the 1960s Regimental Headquarters building which now holds the relocated Museum. 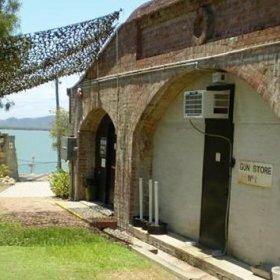 Other significant areas of design work were the restoration of the heritage listed Kissing Point Fort and the P1 Huts. Lambert & Rehbein’s extensive in-house expertise in the Civil and Structural Divisions were utilised during this Project. The Civil portion saw the creation of a new road in co-operation with the Townsville City Council, and is an excellent example of how Lambert & Rehbein can provide a complete solution to projects of this nature. The Design Phase was completed in June and after construction the site handed over in December 2008.